1917: "Yankees to the Ranks" presents 25 songs from the year the U.S. declared war on Germany and entered into World War I. 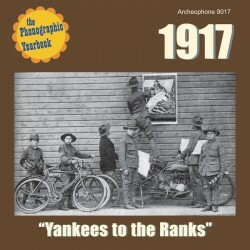 The 24-page color booklet includes extensive notes on all the songs and an interpretive historical essay that tells the story of patriotic volunteerism. Old favorite artists such as Billy Murray, Campbell and Burr, and Collins and Harlan are all here in clear restored audio; so too are newcomers Van and Schenck, Marion Harris, Dietrich and Wright, Anna Wheaton with James Harrod, Arthur Fields, and the Original Dixieland Jazz Band on their first record! 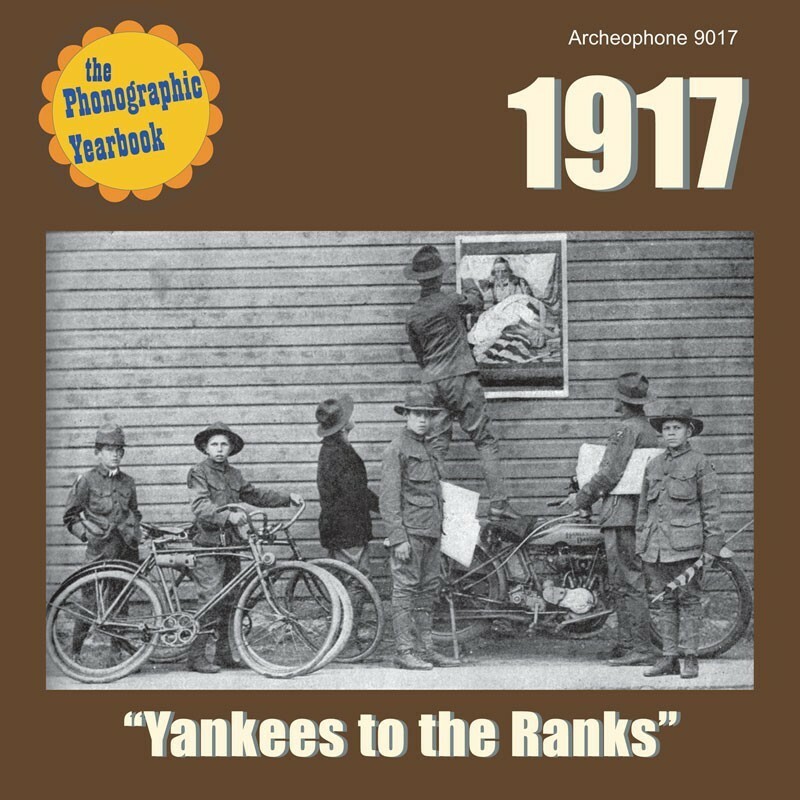 Visit 1917's expanded catalogue page to see the complete track listing, read an extended description, and listen to sound samples.